The AccuSizer Mini is used around the world for online particle size analysis of CMP slurries Let us look at your sample and we will help you select the optimum system configuration specific for your application. The AccuSizer Mini is engineered using a modular design approach that allows us to match sensors and fluidics options to customer slurries and process equipment. 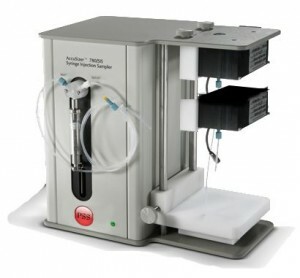 Many samples can be measured continuously without dilution, see Figure 1 below. 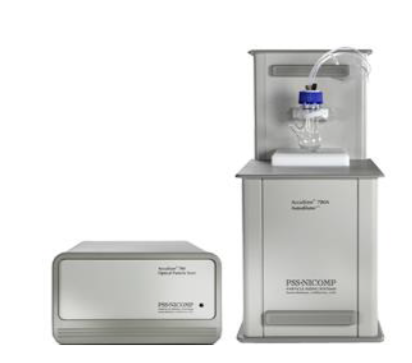 Some samples require dilution for maximum sensitivity to large particle counts (LPC). A variety of custom, patented autodilution modules assure that the perfect sample state is delivered to the sensor for measurement. A range of sensors operating at focused size ranges and concentration limits utilizing the Single Particle Optical Sizing (SPOS) technique provide the highest accuracy results. The pulse height analyzer generates high resolution results in up to 512 size channels - including up to 32 user defined size channels so customers can report results at their preferred specification points. The system is controlled by a built-in Windows touch PC. The AccuSizer Mini generates the highest accuracy and resolution results quickly, and at count rates higher than any other technology. This creates LPC and tail results with the best statistical accuracy - detecting the few large particles that will hurt your yield rates, see Figure 2 below with LPC concentration levels near 1 million/mL during a pump failure. The 1.6 mm sample probe is placed in the sample vial. The large research effort in nanotechnology over recent years has brought to the forefront the lack of easy-to-use tools for characterizing nanoparticles. 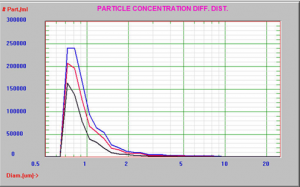 While there are several established techniques in the field of particle sizing that can be used to measure the particle size distributions of nano-dispersions, few of them can provide quantitative information in the range of 0.1 to 1 microns. As it turns out, there is a great need for this information. 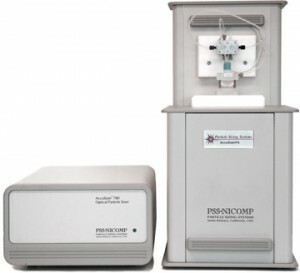 For example, this size range corresponds to where protein aggregates are expected to be, which is of interest to pharmaceutical companies that formulate protein-based drugs because of the safety and efficacy issues posed.Recently, SPOS technology has undergone a quantum leap in capability with respect to the lower size limit of single-particle detection and sizing. Based on a new and innovative approach that uses a focused laser beam to achieve a much smaller and more intensely-illuminated view volume, this new FX-Nano technology can count and size particles as small as 150 nanometers. 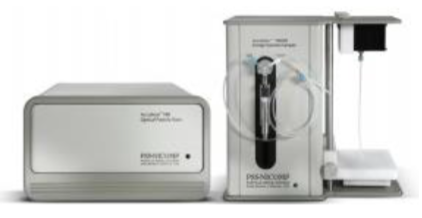 Importantly, the FX-Nano sensor functions at much higher particle concentrations than those allowed by traditional SPOS sensors – above 1,000,000/mL. As a result, little or no dilution is required for most protein suspensions of interest. 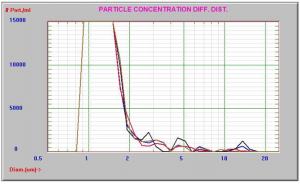 SPOS technology made it possible over the years to quantify oversized particles found in many types of dispersions, allowing manufacturers to improve products as diverse as IV emulsions and microprocessors. The new innovation presented by the FX-Nano means that tails of much smaller nanoparticles can be characterized which will lead to the introduction new and improved protein drugs and therapies. 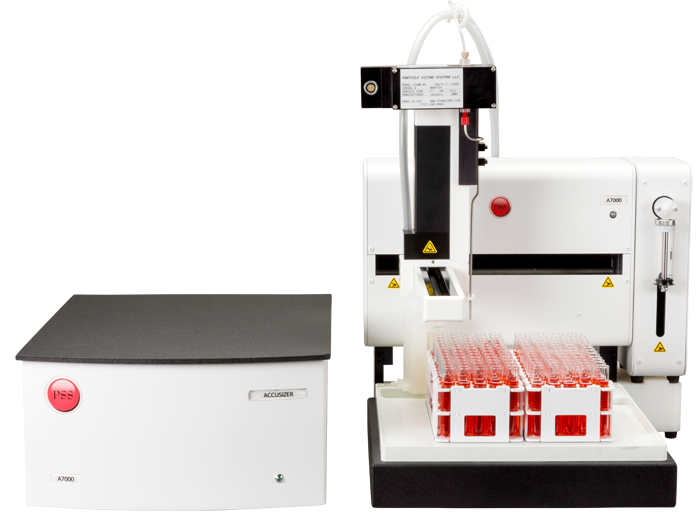 This is an ideal system to quantify the size and concentration of aggregated protein.